The T.B. Scott Free Library serves the Merrill area through traditional and innovative services, connecting people to their community and the world. It promotes reading, supports lifelong learning, ensures free and open access to ideas, and provides opportunities for recreation. The Library has employed both high and low tech ways to save energy for many years, so going solar is just another step in becoming more environmentally friendly and making taxpayer dollars stretch further. The Staff and Board of the library were interested in solar installation to reduce energy costs. They also saw an opportunity to provide an educational experience for the community to learn about how solar power works and the benefits that it provides. 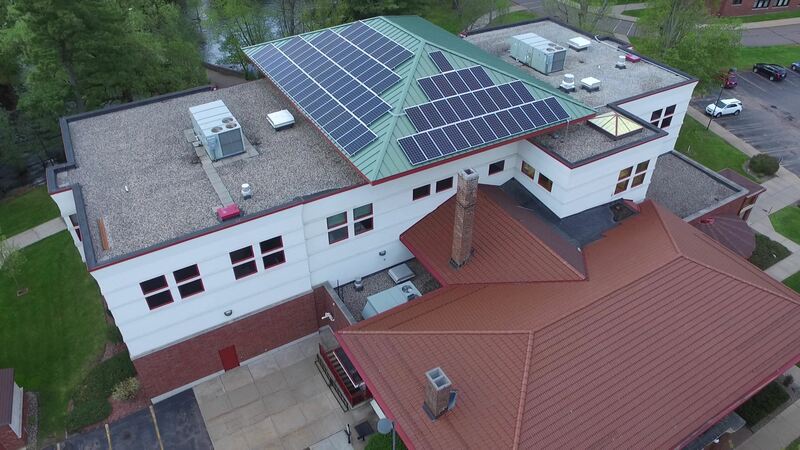 The library contacted Member North Wind Renewable Energy Cooperative (Stevens Point, WI) to help design an approach that would be most affordable for this non-profit community institution. North Wind Renewable Energy Cooperative is an institutional member of the Legacy Solar Co-op, so the two co-ops worked together to investigate how to provide the T.B. Scott Library the best solar project possible! What resulted from this investigation was a plan to have some of the cost come from supporters of the library and some to come from the library itself. 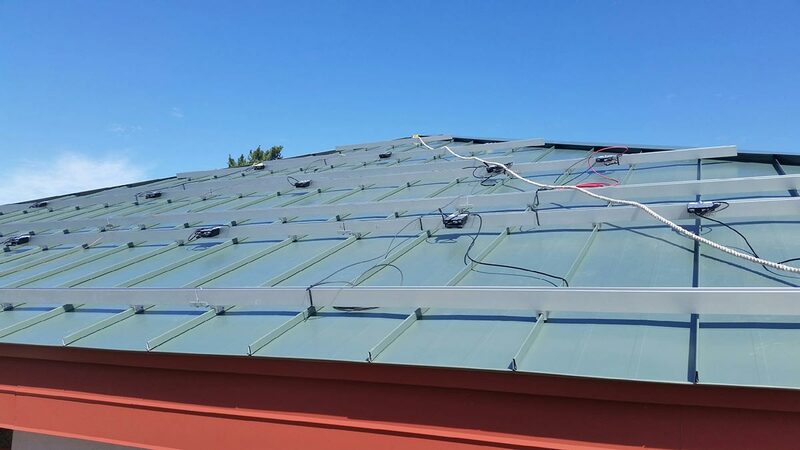 Groundbreaking started in May, 2017 and consists of 28.63 kW, made up of 83 SolarWorld 345w modules and SolarEdge Inverters with DC power optimizers on each module. This 28.63 kW of solar will provide over 34,000 kilowatt-hours of electricity in the first year, and over 829,000 kWhs over a 25-year horizon. When accounting for replacing the inverters once in that time, we can expect the solar panels to continue to produce clean energy into a 4th decade. This is the Legacy that our Co-op is based on. A group of community-minded people come together to fund a Legacy Solar project that will pay for itself many times over financially, and reduce environmental pollutants and conserve water for decades to come. Together with a tax sponsor, the project succeeded in being fully capitalized by the end of February, 2017. The Legacy Solar Co-op sold $18,000 worth of Slice-of-Sun solar bond subscriptions to round off the library’s own investment in this project. This project is fully funded. 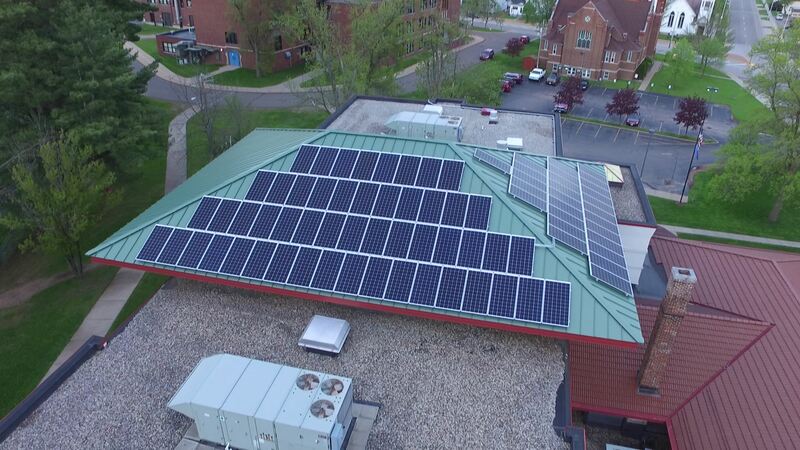 Please inquire about other projects being funded for Legacy Solar Projects throughout Wisconsin. 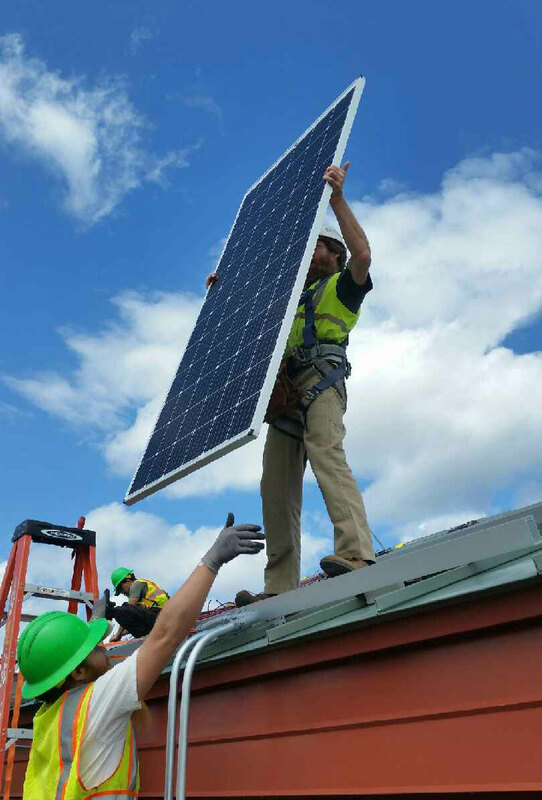 This installation began in May 2017 and officially flipped the solar switch to “on” on June 6, 2017. 82 of these beauties are being installed, one at a time, very carefully! Working from the top down, North Wind Renewable Energy Co-op is working hard on this May 4th. The more SOS Subscriptions are owned by the T.B. 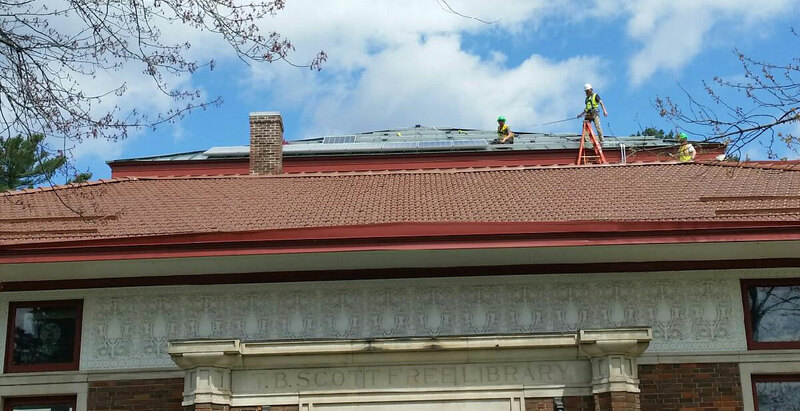 Scott Free Library, the more their energy bills will be locked in at below 5 cents per kilowatt-hour! That’s less than half what they are paying now for their electricity in 2017. Plus, over 25 years, the impact of this project will be to displace nearly 1 million pounds of CO2 and save over 14 million gallons of water by reducing their need for coal and methane-based electricity! Although this project is now fully funded, you can still participate in this innovative fundraising approach and help grow community solar in Wisconsin. 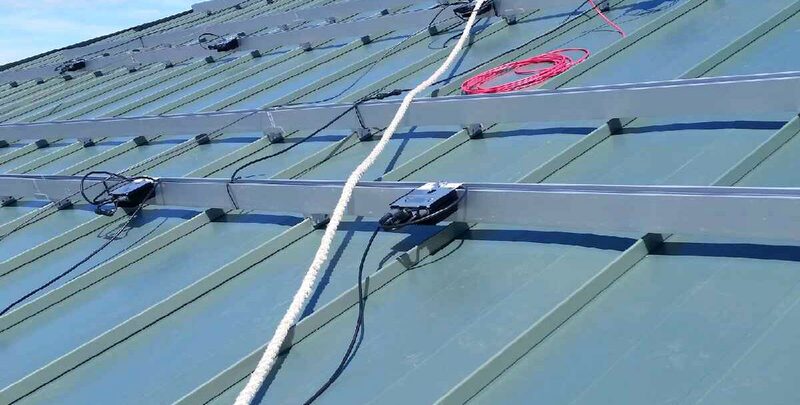 Solar bonds that you purchase from Legacy Solar Co-op help to maximize the savings for other solar projects. After 6 years, you can even donate your bonds so your legacy panels will continue to produce power and help your community for the next 25-40+ years.